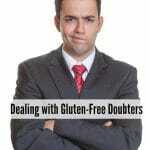 Home » Gluten Free Living » Get Your Body Summer-Ready! It has arrived. The gateway to summer has been crossed and now it’s time to get outside for fun in the sun and water. Are YOU ready? In Colorado the seasonal shift is pretty digital. Its winter then it’s summer without much in between. That generally leaves me moving from jeans, sheepskin boots and down vests to a bathing suit at a Water Park. Honestly, it can be a brutal wakeup call when donning the swim suit for the first outing of the summer. I’m a firm believer in not missing any experiences so rather than covering up and doing a crazy diet until you feel comfortable braving the public pool forum, I have some tips to get your summer started and jump on that summer body at the same time. Breakfast IS the most important meal of the day. We’ve all heard that but do you know why? 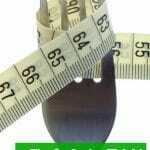 When I was in college I had gained some weight and went to a nutritionist for some help with a good diet approach. I also worked at an amusement park with part of my time in an arcade so I was around crazy sounds all day long. I was constantly exhausted. The nutritionist had me bring in a food diary and immediately pointed to what I was having for breakfast daily; plain oatmeal. Instead he told me to eat tuna salad (made with a lower fat mayo). It sounded completely nuts to me! His point was that I really needed a higher protein breakfast to hold me over and give me the energy I needed to make it through work before lunchtime. It turned everything around for me and bumped me out of the short list of foods that we all eat for breakfast. For some reason there are foods we only eat for breakfast and would never eat lunch or dinner norms first thing of the day! I now will often eat a few ounces of high quality lunch meat for breakfast finding it satisfies my palate and energy needs while keeping the calories under control. Eating a better breakfast often aids in eating less throughout the day I find. 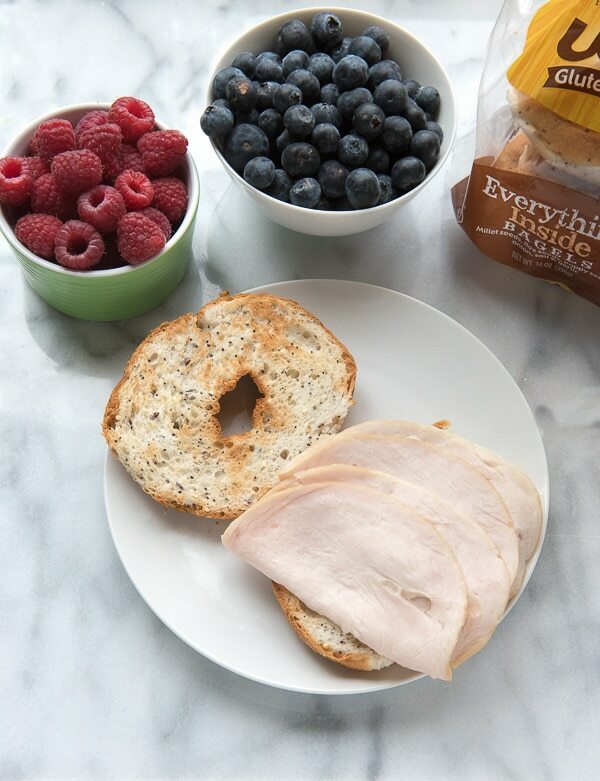 Gluten-free bagels are a daily breakfast staple at our house. If you love a bagel and cream cheese but have your eye on skimpy sundresses in your future too, substitute with lower fat Neufchatel instead of full fat cream cheese. It really tastes the same but you’ll be cutting your fat calories by about 1/3. Eat a half bagel instead of a whole bagel. Udi’s Everything Inside Bagels are loved by all in my household for their onion and garlic flavor; they just feel more filling with more flavor. Add more protein to your breakfast routine AND more flavor which always makes foods more satisfying so you won’t need to eat as much. Do Something Physical Every Day. As one might imagine being a blogger demands lots of time at the computer. I have always been active but since becoming a full time blogger notice I log too many hours sitting. I recently started wearing a fitness band that clocks my steps daily. The truth about my daily steps was not as bad as I’d guessed but certainly could be better. If you have not been exercising regularly, now is the perfect time to start doing so. Summer offers many options without cost and usually outside one’s front door. Walking, swimming, kicking a soccer ball at the park with the kids, taking a bike ride, working in the garden all serve to get you moving. You don’t need to go nuts, start with a 30 minute target daily. Also exercise has a great effect on one’s mental outlook. The more you do it the more you’ll want to do it and the happier you will find yourself most likely. 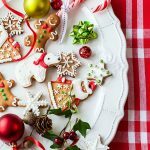 Have a Snack, a Good one! Parents are keenly aware that kids can only go so long until they need a snack. Most schools, including Middle and High Schools, have time built in for kids to snack on something. Good snacking helps keep your energy steady, avoiding drastic dives that encourage quick, less healthy choices. Fresh fruits and vegetables are great. A small serving of nuts. A great smoothie, especially after exercise to help recover. If you are a chip lover consider an equally flavorful option, with the crunch we all love but less fat. My kids love Udi’s Ancient Grain Crisps and out of curiosity I checked the nutritional content against a standard potato chip. 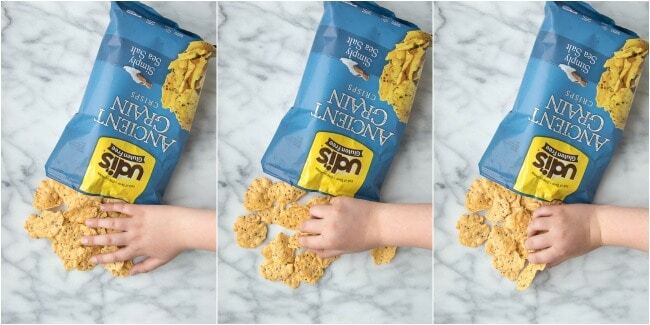 Comparing an ounce of each*, Ancient Grain Crisps have 62 less calories (152 cal vs. 90 cal), 7 grams less fat (10 gm vs. 3 gm), and no saturated fats unlike regular potato chips which have 3.1 grams. 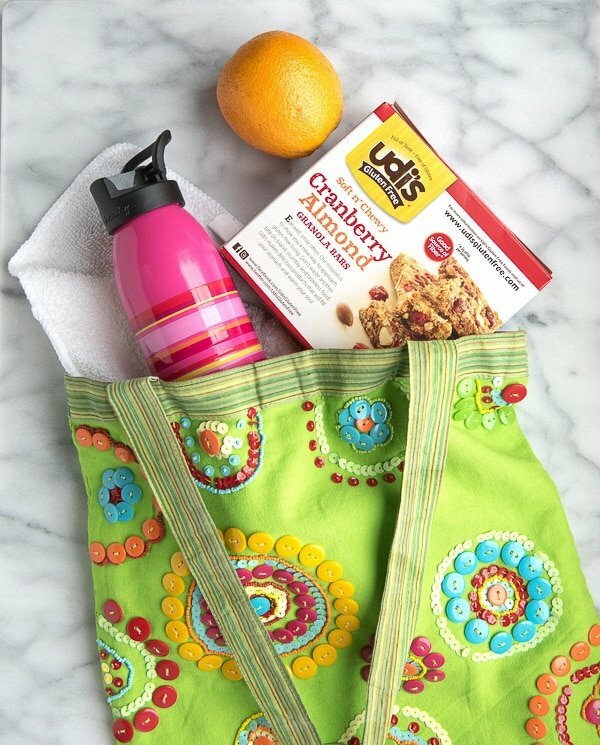 Carry good portable snacks with you whenever you go out so you have something at the ready and aren’t tempted to compromise with calorie and fat laden quick options at the store. Wear Sunscreen! When I think of my summers at the neighborhood pool I don’t ever remember putting on sunscreen. The only lotion we’d put on was to try to get that deep dark Hawaiian tan (what were we thinking?!). Fortunately the word is out on the risks of skin cancer and sunscreen has come a long way. Every possible option is now readily available including types that can work when exercising and in the water when at the pool or seashore. Have fun! If you do find when you shed your winter cocoon you are not feeling your Itsy Bitsy Yellow Polka Dot Bikini best and are a bit pasty from lack of sun, who cares! It’s a time for family, friends and fun. If you get going on some simple things to improve your fitness and wellbeing that bikini will come. Don’t miss out on the fun in the meantime. *Potato chips nutritional information source Wikipedia for generic potato chips and were compared to Udi’s Ancient Grain Crisps Sea Salt flavor. I didn’t realize Udi’s had so many great snack options! I’m far from beach-ready! My body is definitely NOT summer-ready! I need to seriously work on remedying that – lol! I’m defiitely not ready for swimsuit season! I had no idea that Udi’s had so many great snacks and more! 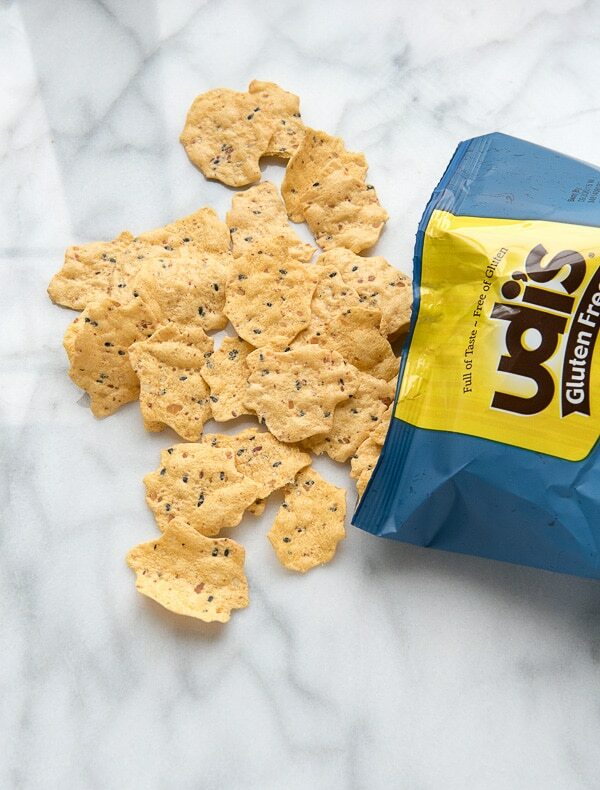 Those Udi’s look like a delicious snack and I’m sure my kids would love them in their lunch and they would also be great for road trips, and to take to the beach or pool. I can’t wait to try them out. I already forgot sunscreen once this summer, and man did I pay for it!! Won’t do that again! Breakfast is my favorite meal. As for beach body ready? I have a long way to go.